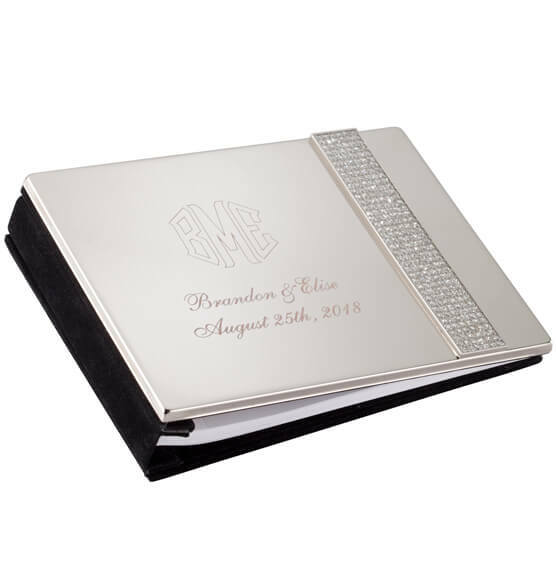 Always remember who was there for the big day with this personalized Brilliance guest book keepsake. The gleaming nickel-plated cover has crystal accents for ultimate glamour. Inside are lined pages for guests' signatures and well wishes. This custom guest book makes an elegant statement displayed on a table near the entrance to your celebration. 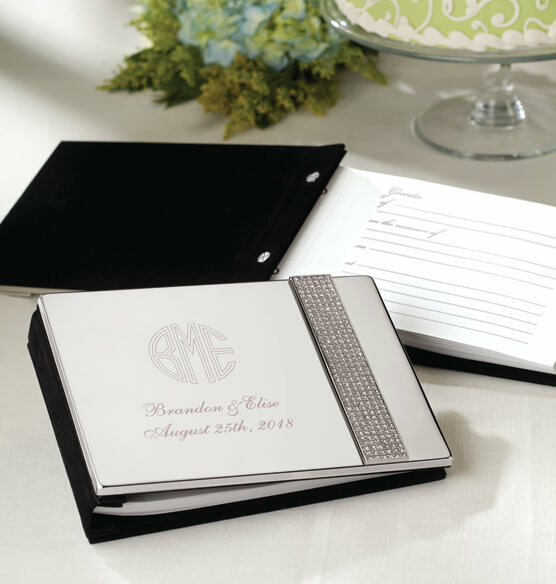 Add a custom message or monogram to create a one-of-a-kind keepsake. Perfect for weddings and other special occasions.